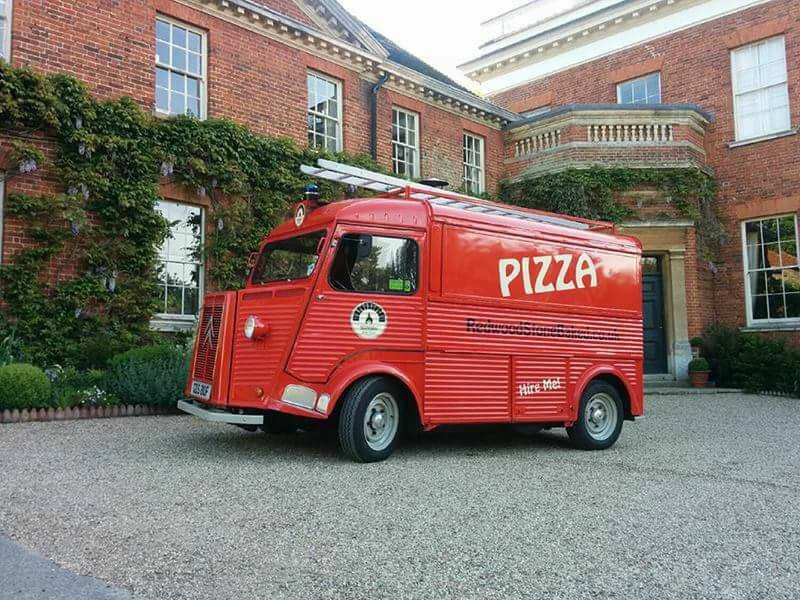 Redwood Stonebaked Ltd was born from the passion for amazing food and unusual vintage vehicles in 2014. We offer delicious stonebaked pizzas, using locally sourced ingredients. You can watch their masterpieces lovingly cooked on our impressive Dragon wood burning oven. 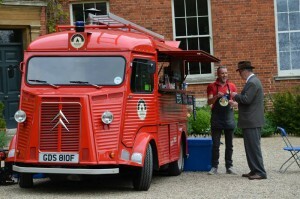 We enjoy serving our tasty stonebaked pizza, amazing garlic bread and cold drinks from our classic 1967 Citroen HY fire brigade van ‘Little Red’. The van takes bookings for events, from weddings to festivals and anything in between. Please contact James for a quote via e-mail on james.thomson@redwoodstonebaked.co.uk or to go through menu options on 07703680243. We are currently doing regular street food nights at Wivenhoe and Tiptree, give us a call on 07467240863 after 3pm to order.